Craig "Cajun" Uggen, 57, nearly floods his truck as Hurricane Harvey comes ashore in Corpus Christi, Texas. At least five Mainers are heading south to the Texas Gulf Coast this weekend to help victims of what could be the worst hurricane to hit the United States coast in 12 years, an American Red Cross of Maine spokeswoman said Friday. More Mainers may be dispatched if needed, spokeswoman Ann Kim, who works out of the organization’s Portland office, said. Hurricane Harvey was expected to hit the Texas Gulf Coast on Friday night, bringing with it winds of more than 100 mph and up to 35 inches of rain and the potential for devastating and life-threatening flooding, according to weather forecasters. The storm is expected to linger over parts of Texas and Louisiana for several days. 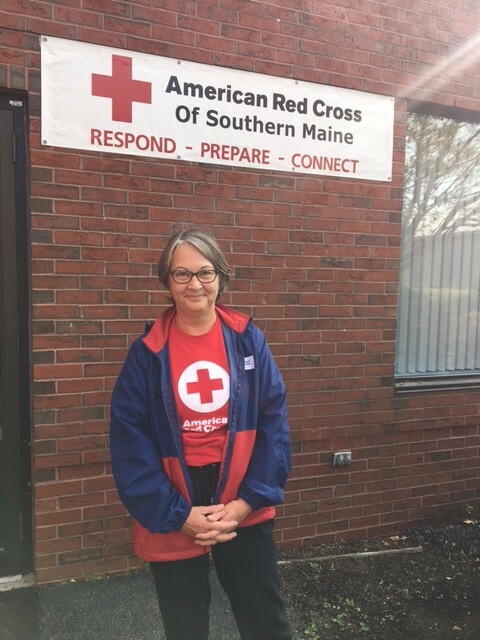 Among the Maine residents assigned to the Hurricane Harvey detail are Laurie Levine of Poland and Ruth Lathrop of Windham, both of whom have some experience with major hurricane relief. Kim said three other Maine volunteers — from Aroostook, Penobscot and Knox counties — also are deploying. Levine said Friday that she was called upon to assist those affected by Hurricane Katrina in 2005 and since has been sent to a few more disasters, the most recent being the wildfires that swept through Alaska two years ago. Levine received word that she was being sent to Texas for at least two weeks around 10:20 a.m. on Friday, which gave her just enough time to go home, pack and say goodbye to her husband and dog, she said. “I’m flying into Dallas tonight. The Houston airport’s already closed,” Levine said during a brief stop at the Red Cross’s Portland offices on her way to the Portland International Jetport. Levine said she expects that her role in Texas will involve working with community partnerships. “The Red Cross doesn’t operate in a vacuum. We certainly need everybody to participate,” she said, adding that the Red Cross’s mission is to make sure that victims’ needs are met. “I won’t really know [the exact nature of the work] until i get there but I’m up for anything,” she said. Levine acknowledged Friday that she’s a bit nervous about her trip south but despite that, says her work for the Red Cross is rewarding. “We’re taking care of people who really need us. That’s what the Red Cross is all about. It’s part of the mission. It’s what drives us,” she said. Lathrop was set to fly to Texas on Saturday morning. “I’m anxious to get down there and do what I can to help. Not everybody gets to do something like this,” the 69-year-old volunteer said. She expects that her duties will involve feeding hurricane victims or helping at a disaster shelter. The deployment is Lathrop’s second. Last year, she was on a team for an emergency response vehicle used for feeding after flooding in Baton Rouge, Louisiana. According to the national headquarters of the Red Cross, evacuation orders are in effect throughout parts of the two states. Nearly 100 people spent Thursday night in seven Red Cross shelters and nearly 50 more shelters were prepared to open if needed. 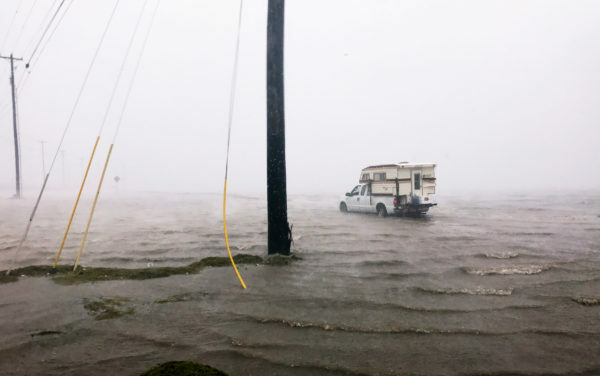 “This is a dangerous storm and the next few days are going to challenge everyone along the Gulf Coast,” Brad Kieserman, vice president of Disaster Services Operations and Logistics for the Red Cross, said Friday in a statement about the hurricane. The Red Cross said it was mobilizing hundreds of trained disaster relief workers, truckloads of kitchen supplies and tens of thousands of ready-to-eat meals to support the response effort. Trailers full of shelter supplies including cots and blankets — enough to support more than 20,000 people — were slated to arrive in Texas on Friday, the Red Cross said. More than 40 Red Cross emergency response vehicles have been deployed and more have been placed on alert. The Red Cross also said it is working closely with government officials and community partners in both Texas and Louisiana to coordinate potential response efforts. Ann Kim said Mainers who want to help with the relief effort can do so by visiting the Red Cross’s website at redcross.org, calling 1-800-REDCROSS or texting the word HARVEY to 90999 to make a $10 donation. Correction: A previous version of this story misstated the town in which Laurie Levine resides.